November 3, 2016, 12:48 PM · Welcome to "For the Record," Violinist.com's weekly roundup of new releases of recordings by violinists, violists, cellists and other classical musicians. We hope it helps you keep track of your favorite artists, as well as find some new ones to add to your listening! Staatskapelle Berlin; Daniel Barenboim, conductor. Lisa Batiashvili performs the violin concertos of Tchaikovsky and Sibelius in conductor Daniel Barenboim’s first recording of the Tchaikovsky violin concerto. In celebration of his 40th birthday, Renaud Capuçon has recorded three new concertos that he has premiered, all within the last five years. All are by living, European composers: Wolfgang Rihm (b. 1952) of Germany; Pascal Dusapin (b. 1955) and Bruno Mantovani (b. 1974), both of France. 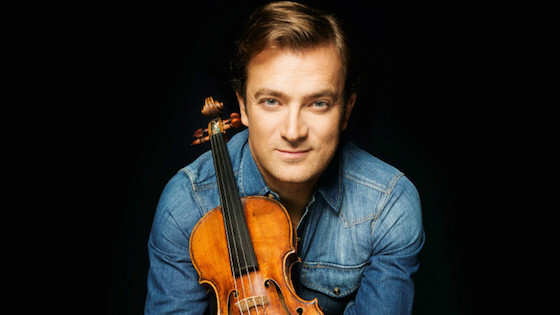 Capuçon said he was inspired to encourage new music by the examples of Anne-Sophie Mutter, Gidon Kremer and late Mstislav Rostropovich. "Our responsibility as musicians is not to remain confined to the classics of the repertoire, but to offer new works for performance," he said. Here is something quite different for fans of experimental sound and music: Berlin musician Thea Farhadian has composed works with the violin and live electronic processing, using the program Max/MSP.